5 Top Tips to keep your estate agent onside. The market is buoyant right now. Properties are selling quickly – mostly. If yours isn’t getting much interest from buyers, you may find that your estate agent has stopped calling. Perhaps it seems they are even avoiding your calls. You’re left feeling frustrated and powerless, wondering what on earth you can do when no one wants to view your home. 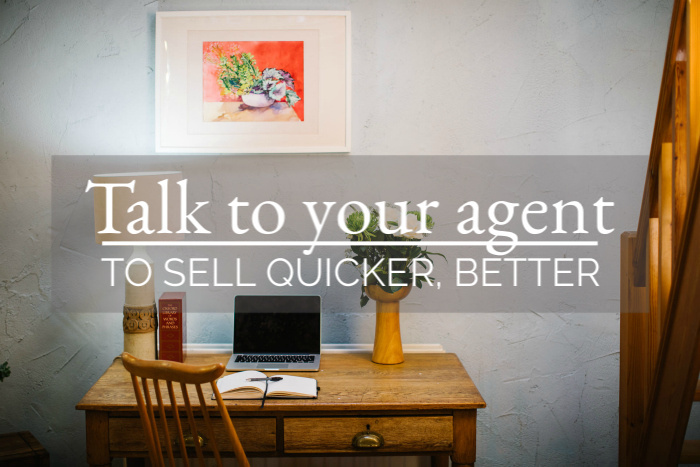 Communication between you and your agent at this tricky time becomes all the more important. Without communication, there can be no trust, and without trust, there is no worthwhile relationship. What can you do to keep the channels of communication open, and keep your agent onside? Pre-empt any issues by agreeing a communication schedule before you launch your home to the market. This is over and above any calls to arrange viewings, or to give feedback afterwards; this plan outlines your expectations and so your agent has some chance of meeting them. For example, you could ask for a fortnightly call on a Friday, regardless of whether there had been any viewings in between. In this call you could ask them about market conditions and trends, recent sales, viewings on other comparable properties, and updates on any of your recent viewers. With a plan agreed in advance, there are clear expectations and if these are not met, you can refer your agent back to their original agreement. Share your plans with them: if your agent knows how important your move is, perhaps to be closer to a special relative, to give yourself more financial security, or to realise your long-held dream of living in the country, they will be able to genuinely identify with your aspirations. 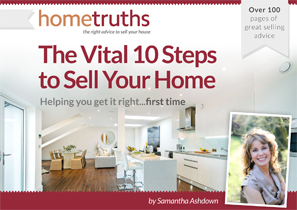 By taking them into your confidence, you are showing that you trust them, and the resulting enhanced relationship will allow them to do the best possible job of selling your home for you. Ask for advice: lots of vendors do this, but then they either don’t listen to any suggestions, or else they argue with it. If you genuinely listen and show that you value any input that might improve the level of interest in your property, you will find your agent much more confident about discussing the issues with you. Keep your communication positive – if your agent feels that they are being told off, or held to account, for a lack of interest in your property, they will be increasingly reluctant to pick up the phone to you. If however, your tone is encouraging, friendly and supportive, they will look forward to speaking to you, and they will be only too happy to have a chat to you, even if there is nothing concrete to report. Pop into the office, if you live close enough. Take them cakes, or flowers out of your garden for the office. If they offer to make you a cup of tea, even better. Take the time to really get to know the staff in the office, and you and your house will be at the forefront of their mind when they next receive a suitable enquiry. Agents are just like you and me; they have favourite clients, so make sure you’re one of them. Keeping your estate agent onside can have a big effect on the interest you receive on your house. You may be feeling frustrated, but chances are, they are too. Add to that the embarrassment they could be feeling, having told you initially that they were sure your house would sell quickly! A bit of kindness and understanding can go a long way, and reassures your agent that you consider your house sale a team effort. What to Read Next: Should I use more than one estate agent to sell my house?